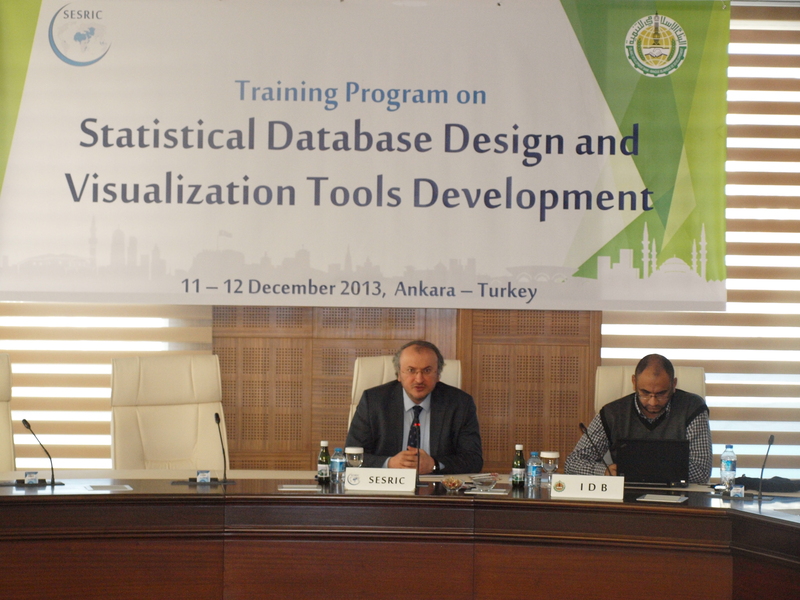 The Third Session of the Statistical Commission of Organisation of Islamic Cooperation (OIC-StatCom), held on 10-12 April 2013 in Ankara-Turkey, has welcomed the initiative of the Statistical, Economic and Social Research and Training Centre for Islamic Countries (SESRIC) in offering the National Statistical Offices (NSO) of OIC Member Countries its Motion Chart Module (SMC) to enable them present their data in a visual way so as to improve the analytical capabilities and effective use of data in evidence based policy making. 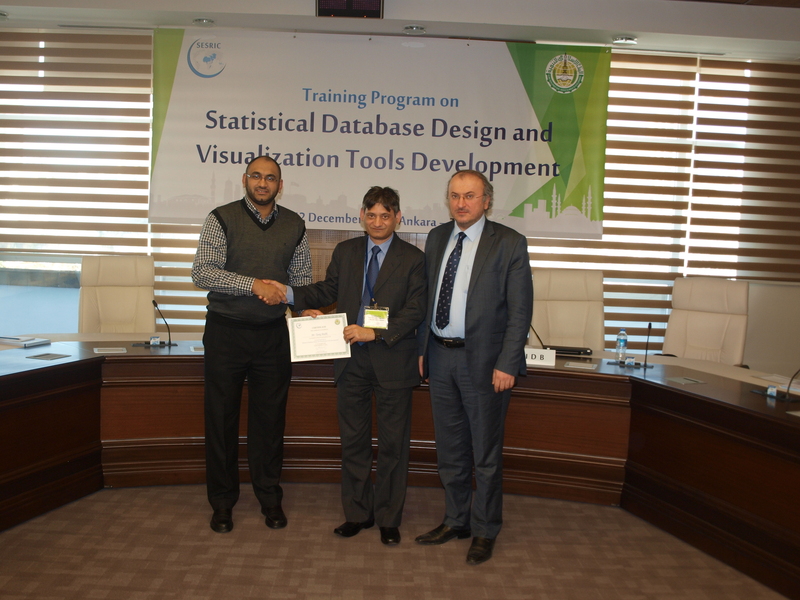 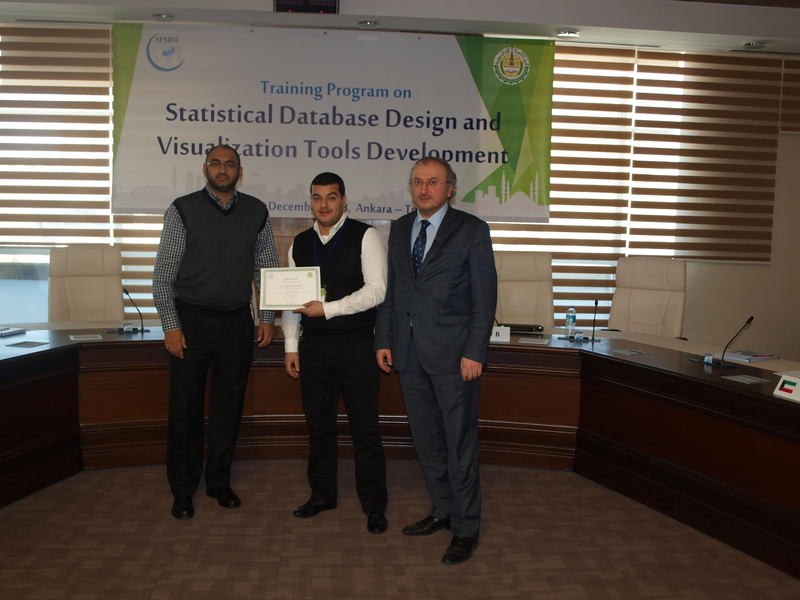 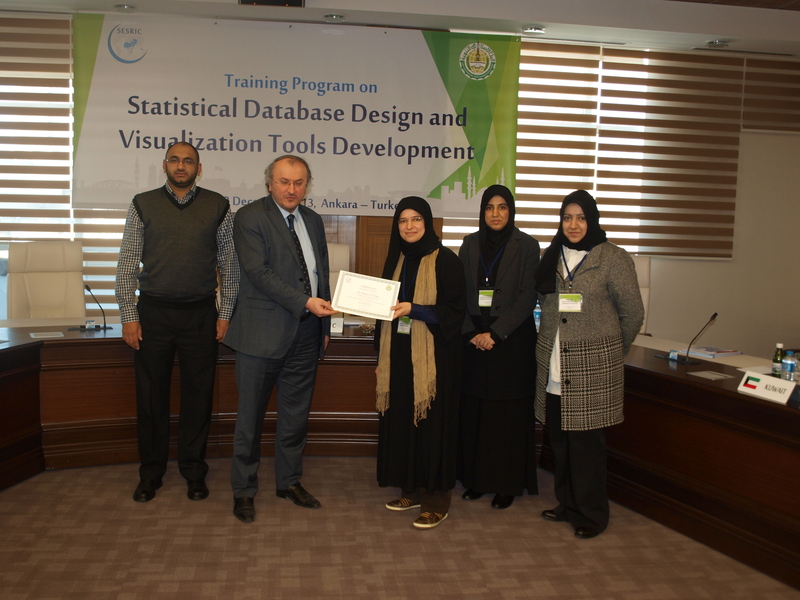 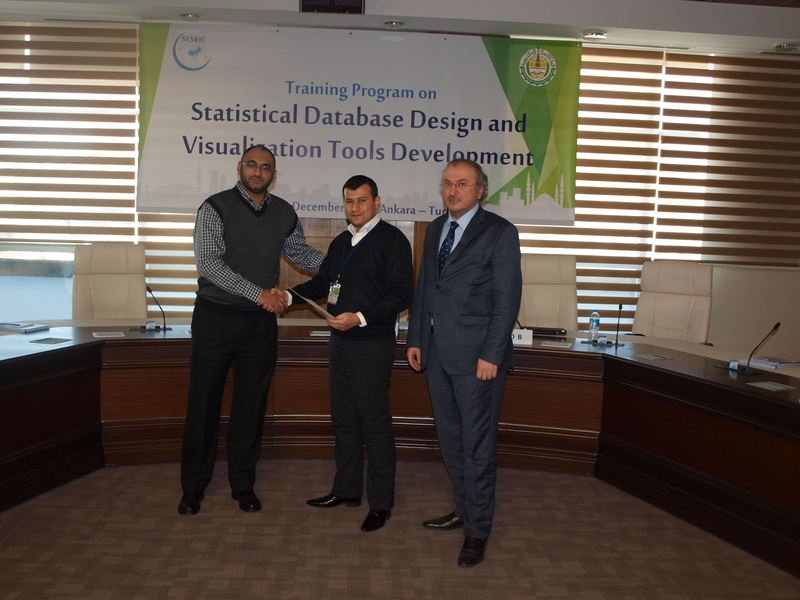 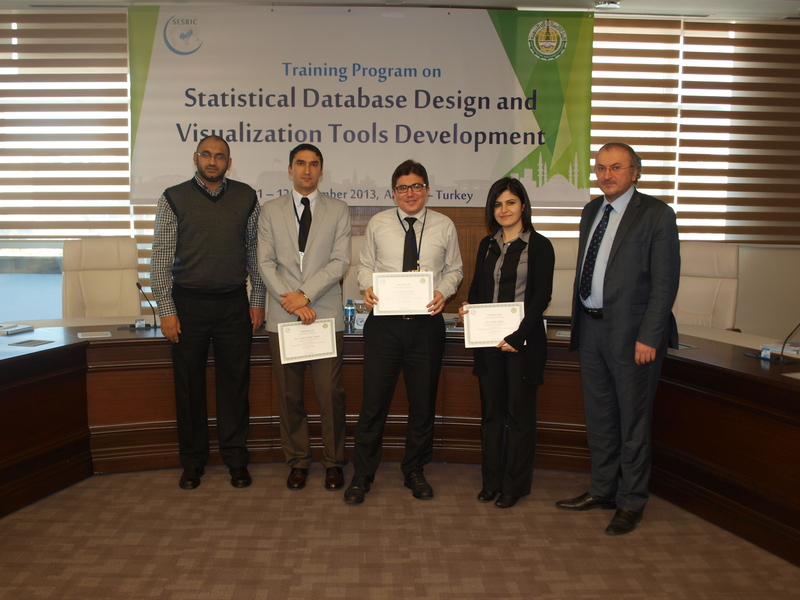 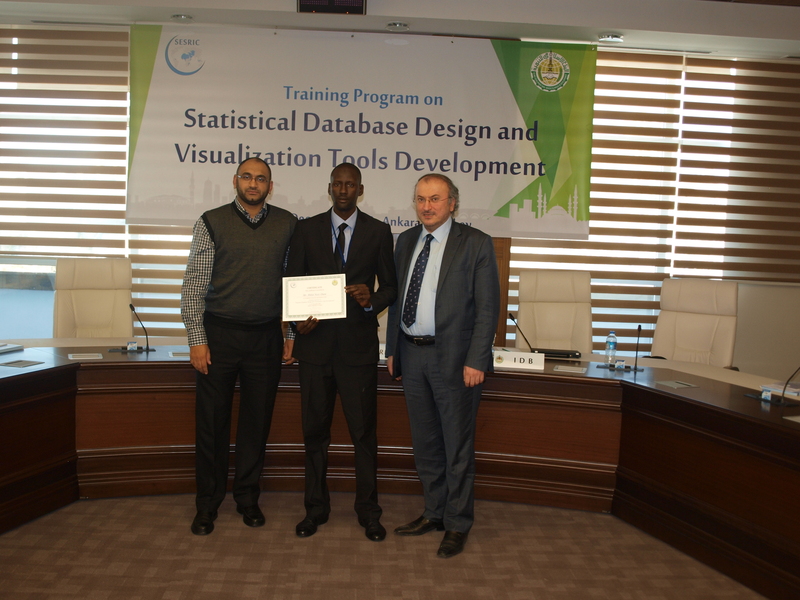 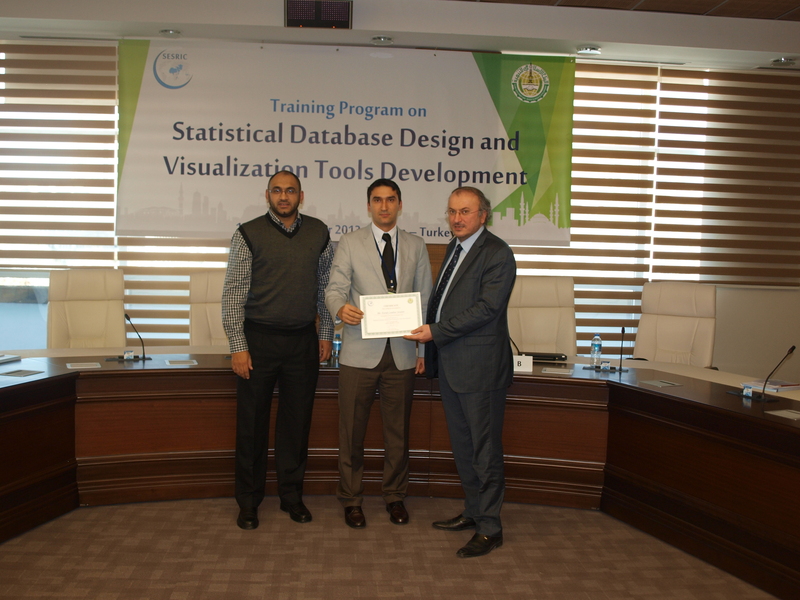 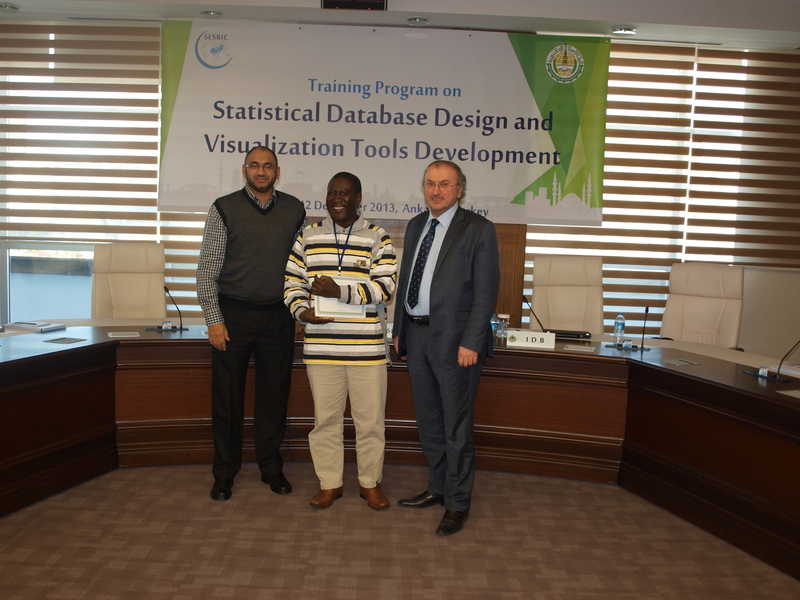 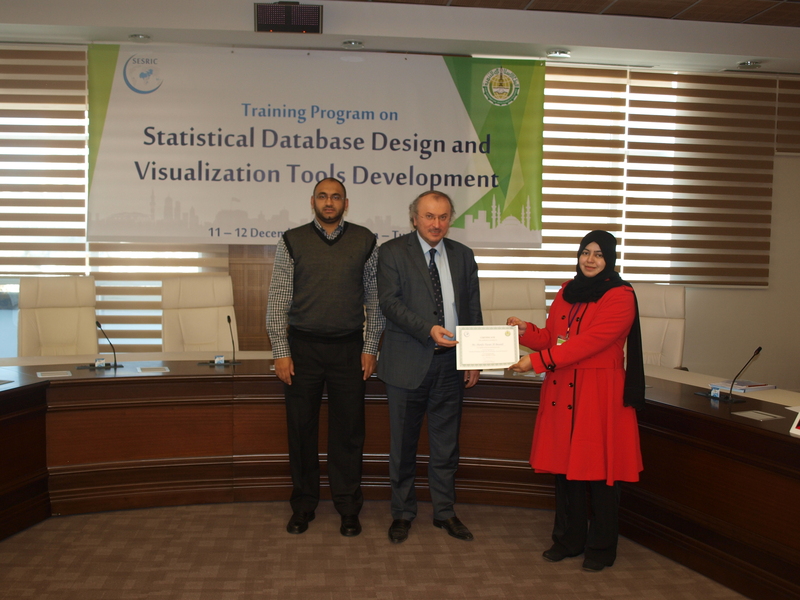 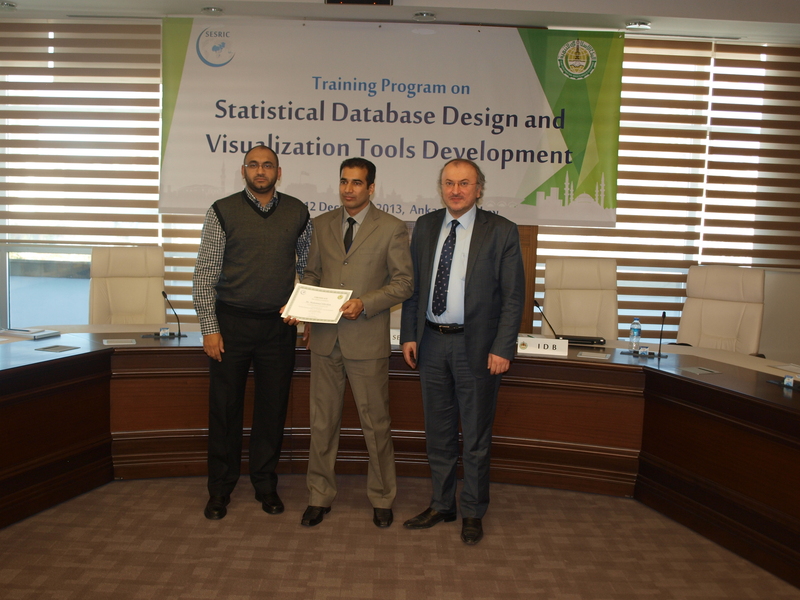 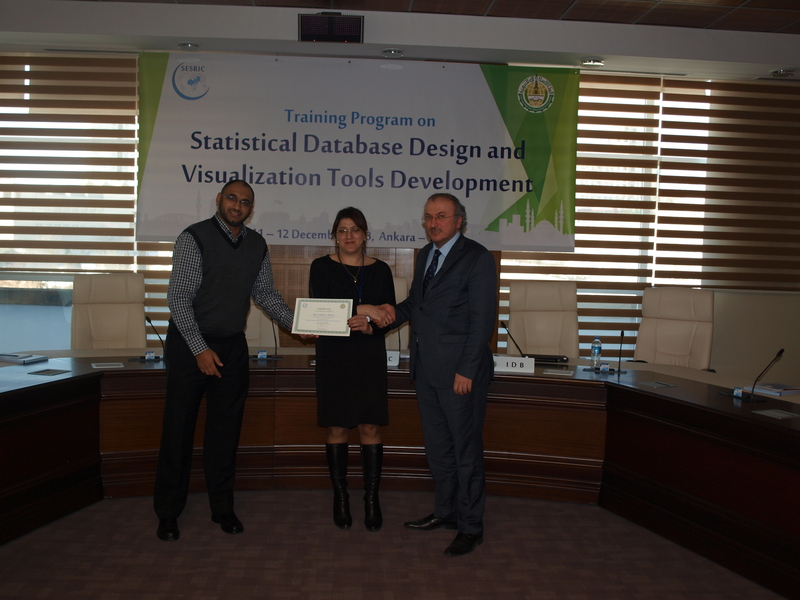 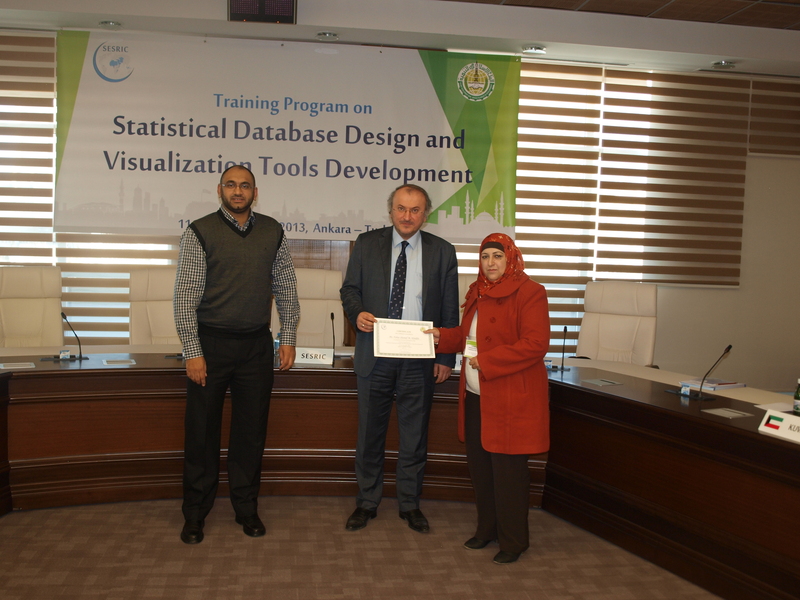 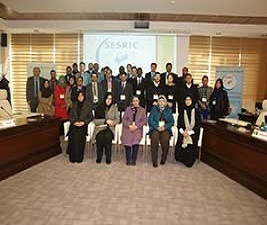 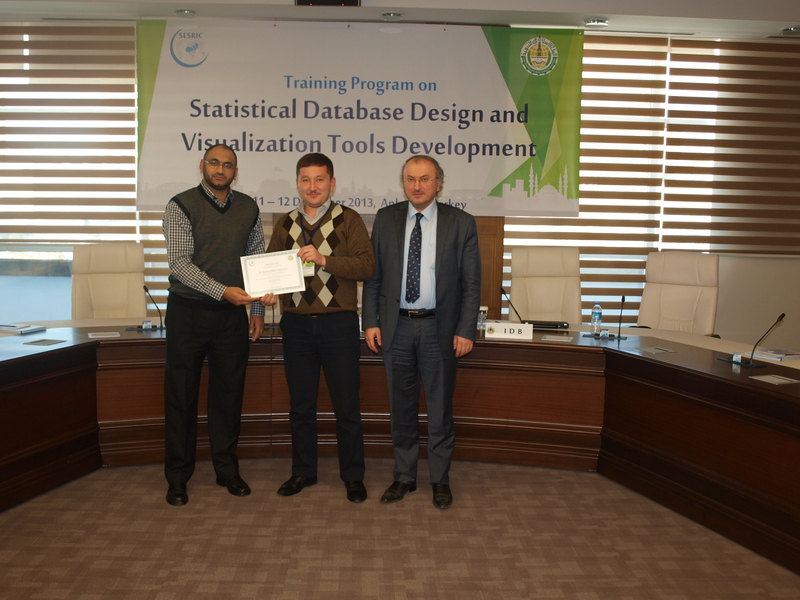 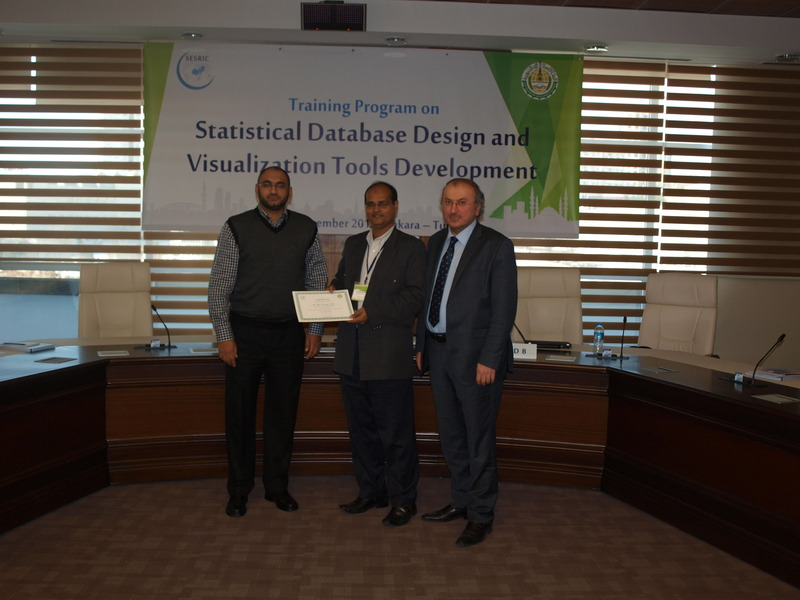 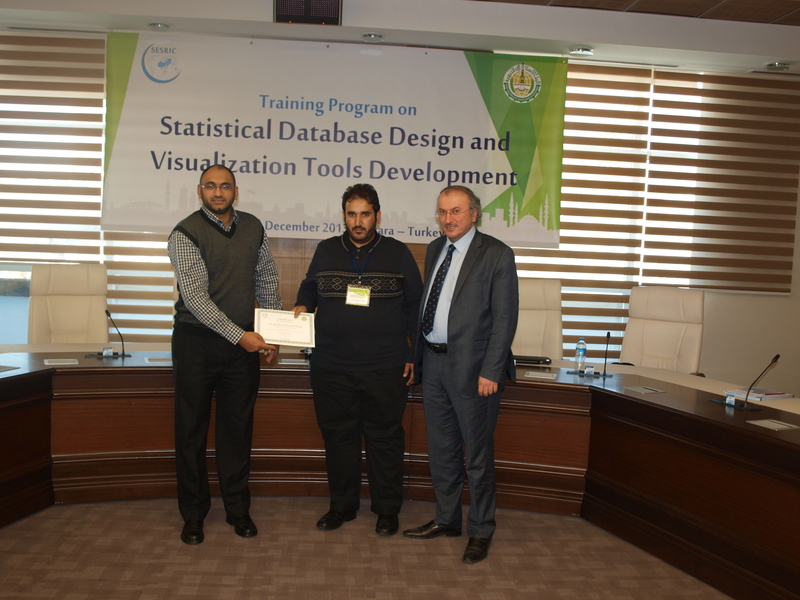 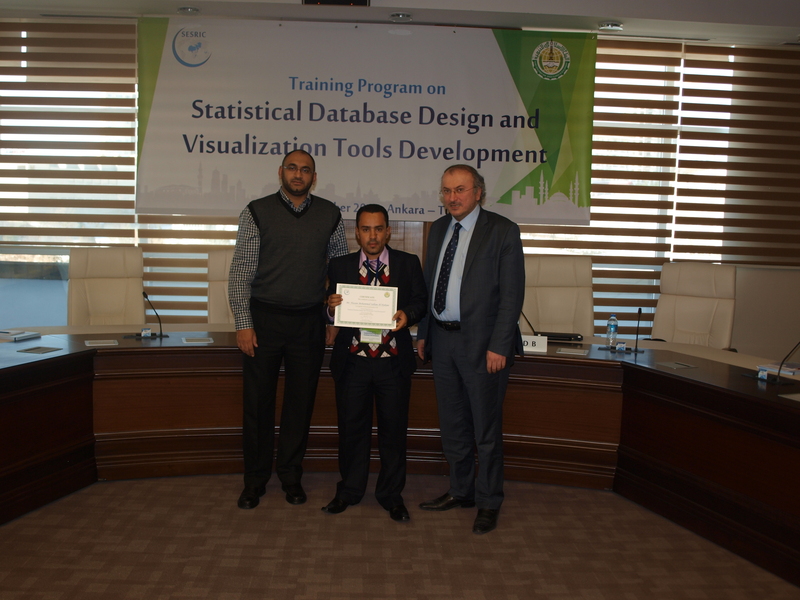 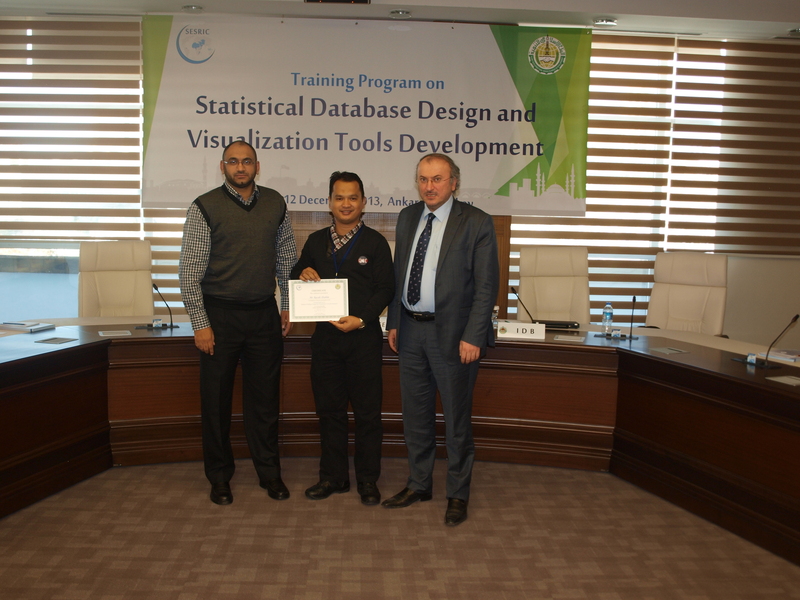 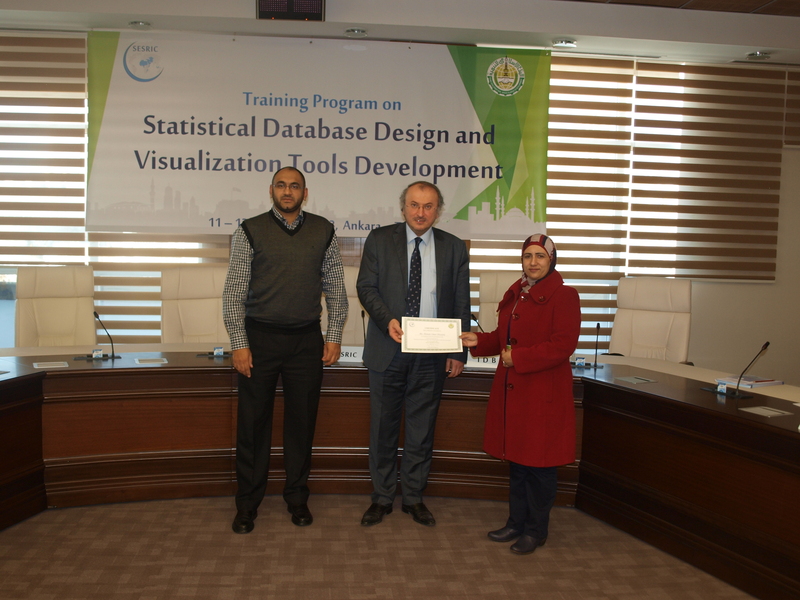 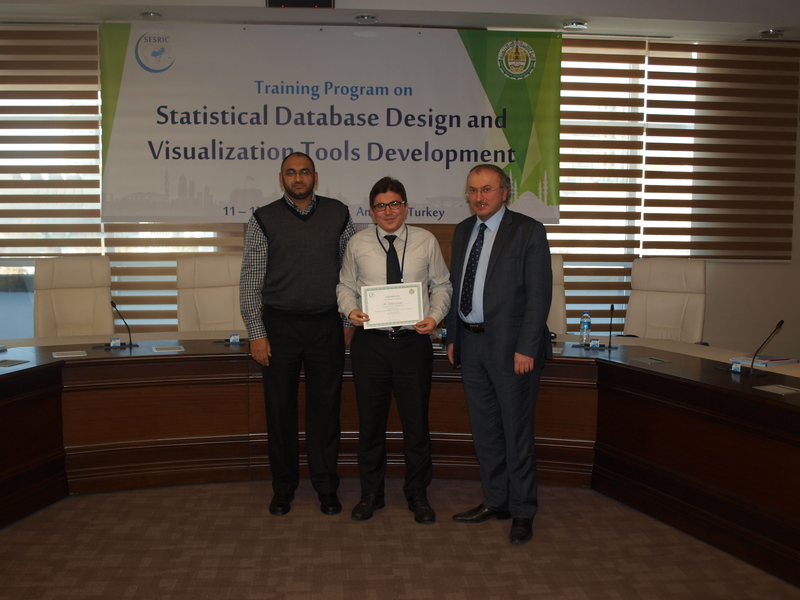 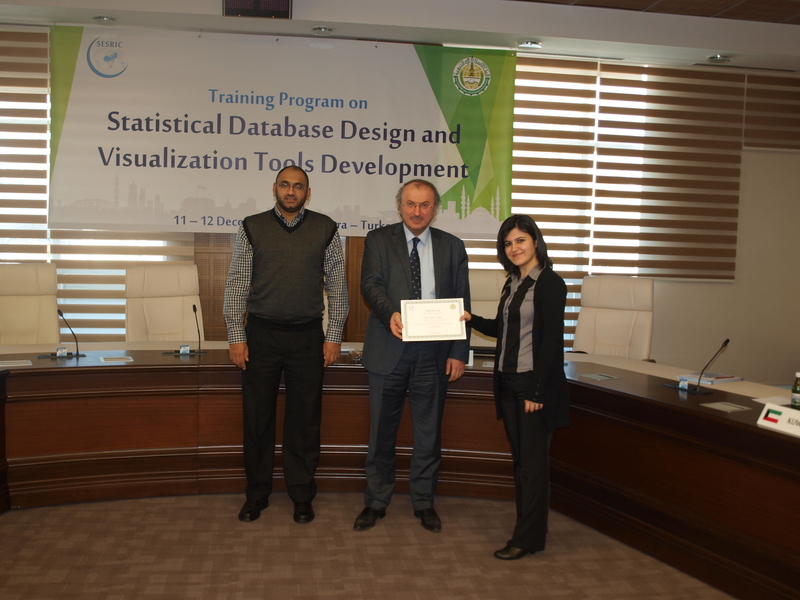 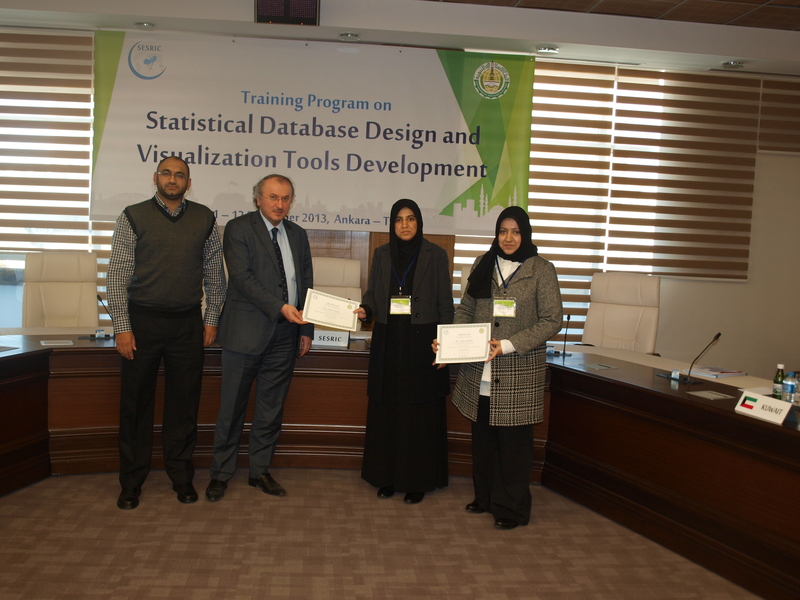 In accordance with the relevant resolution of the OIC-StatCom, SESRIC and Islamic Development Bank (IDB) jointly organized the Training Programme on “Statistical Database Design and Visualization Tools Development” on 11-12 December 2013 at SESRIC Headquarters in Ankara, Republic of Turkey. 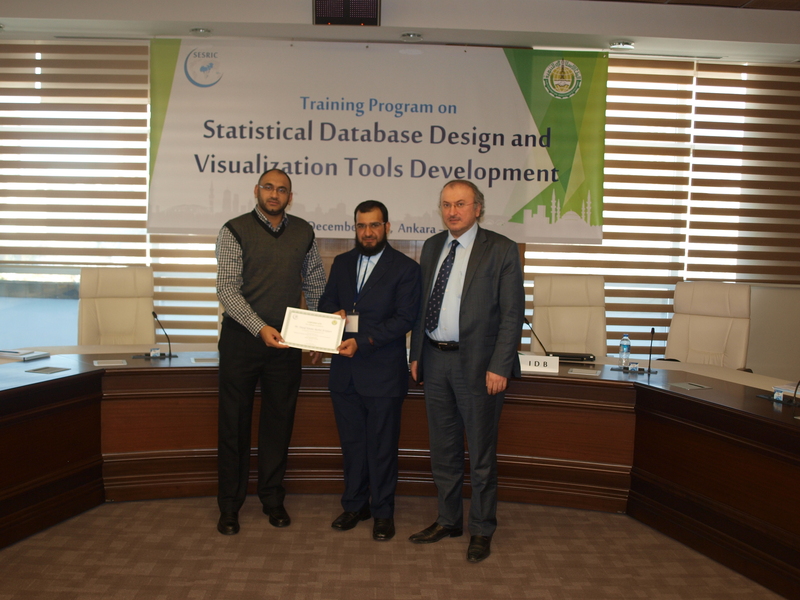 The training programme was attended by 30 experts from the NSOs of 16 OIC Member Countries including Afghanistan, Azerbaijan, Bangladesh, Gambia, Iraq, Kuwait, Kyrgyzstan, Malaysia, Niger, Oman, Pakistan, Palestine, Qatar, Senegal, Turkey and Yemen. 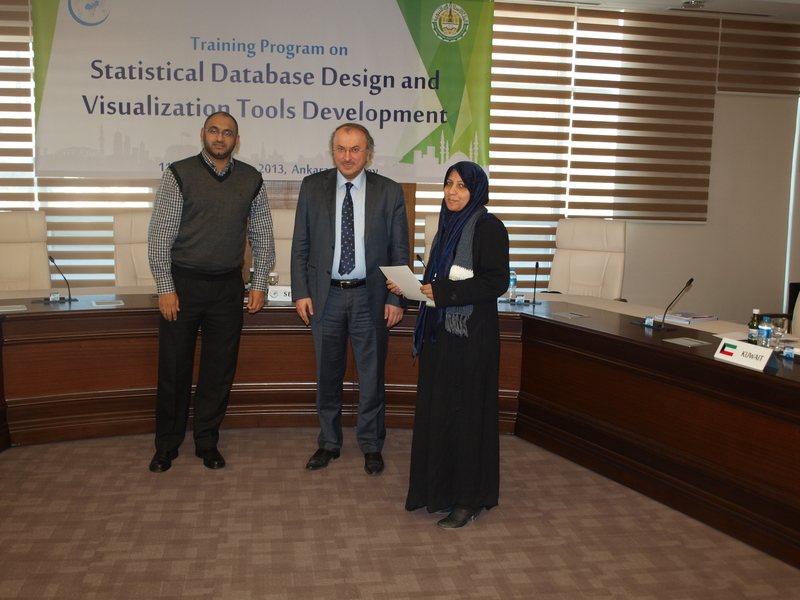 The representative of IDB was also present during the two-day training. 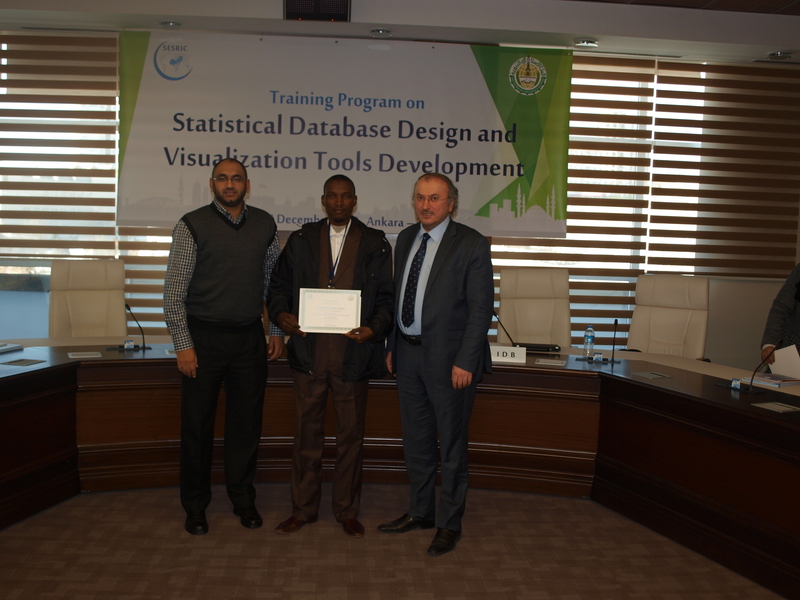 The training course aimed at introducing statistical database design principles with a focus on data visualisation tools development, and in particular, guiding the participants on how to deploy the SESRIC Motion Chart (SMC) Module within the IT infrastructure of their institutions. 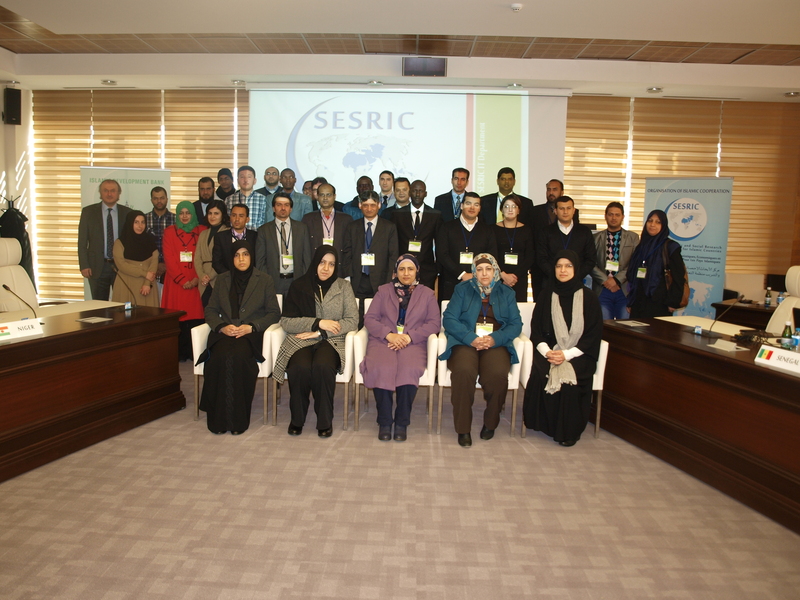 At the opening ceremony, Mr. Hüseyin Hakan Eryetli, Director of IT Department, welcomed all the participants and briefly informed them about the activities of SESRIC in the area of statistics. 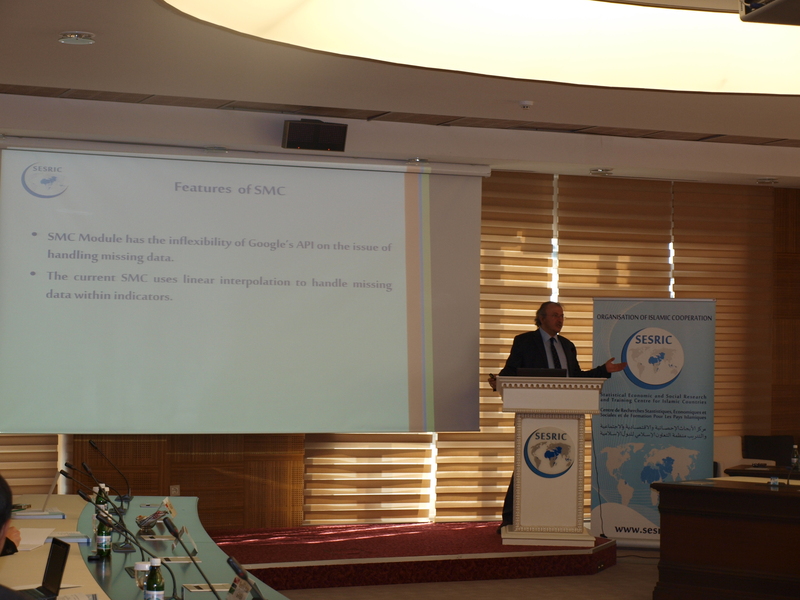 In his speech, Mr. Eryetli also underlined the willingness and readiness of SESRIC to further strengthen the cooperation with NSOs and international organizations. 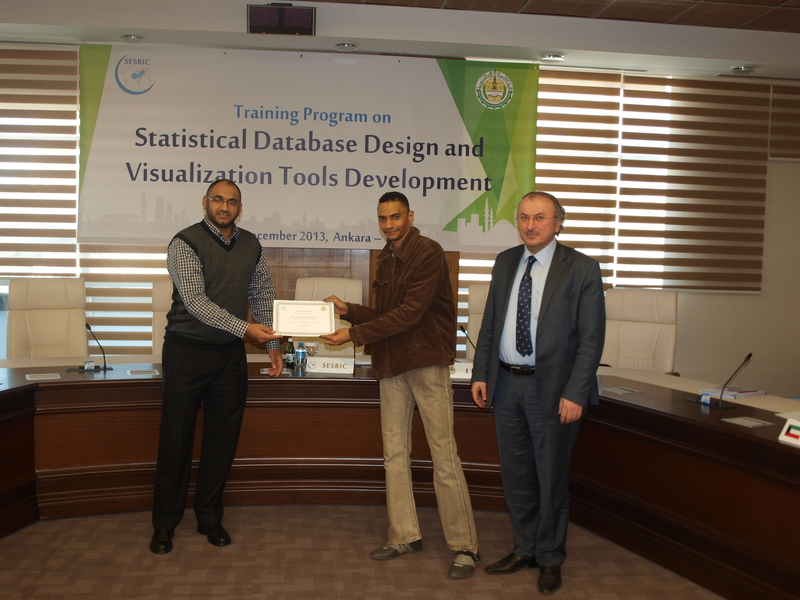 XML with Flash, PHP, ASP.NET etc. 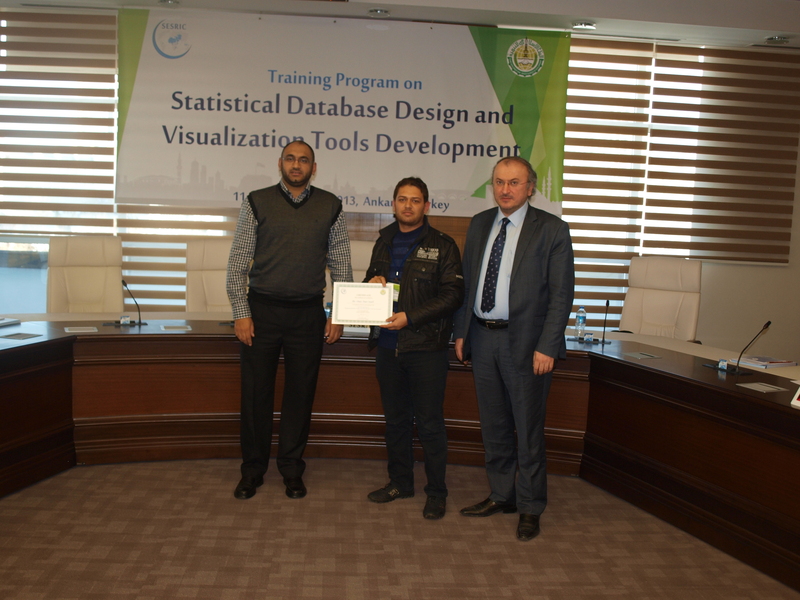 A discussion session took place at the end of the training part in which the modalities of cooperation and sharing of knowledge have been discussed by the participants. 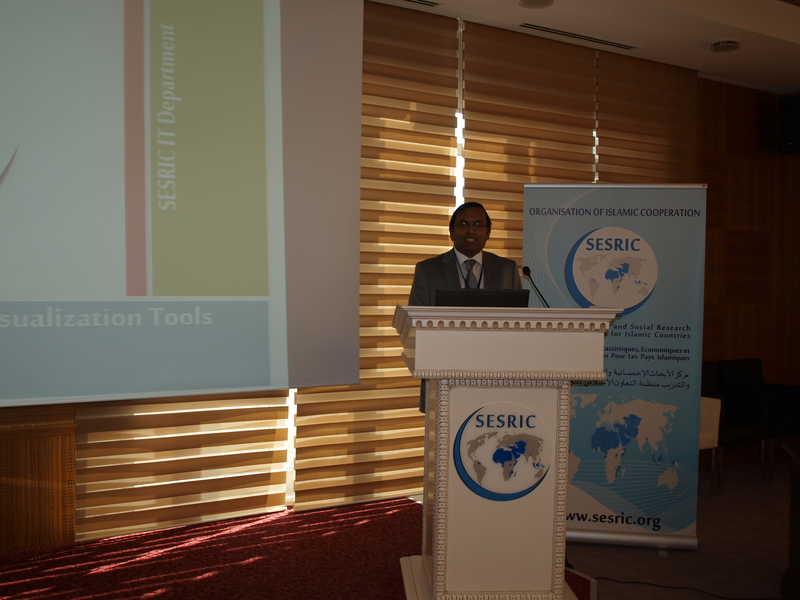 Several recommendations were made by the country representatives to be submitted to the next session of OIC-StatCom. 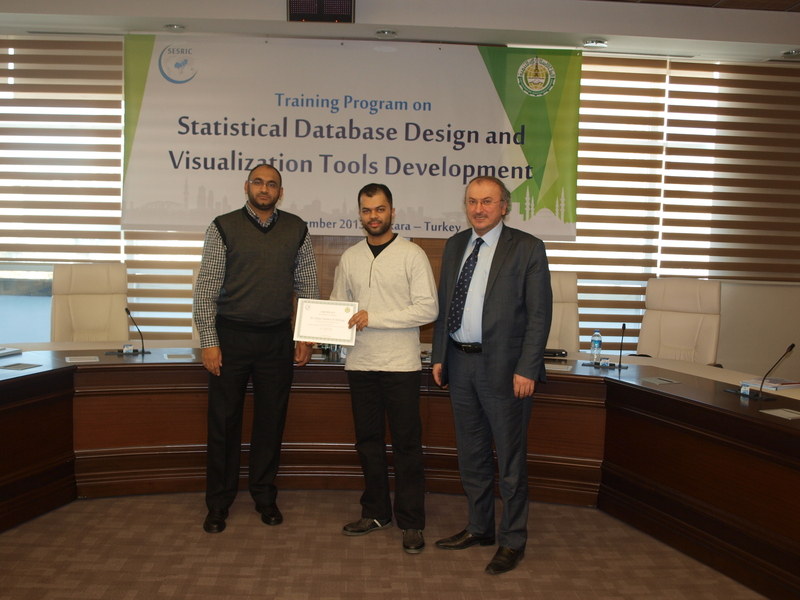 The source code of the SMC module has been shared and the Certificates of Participation were handed out to the participants at the end of the training.